The 90th annual Academy Awards ceremony is just days away now, and among the many nominees hoping to take home an Oscar is Three Billboards Outside Ebbing, Missouri and eight other films vying for the coveted title of Best Picture. 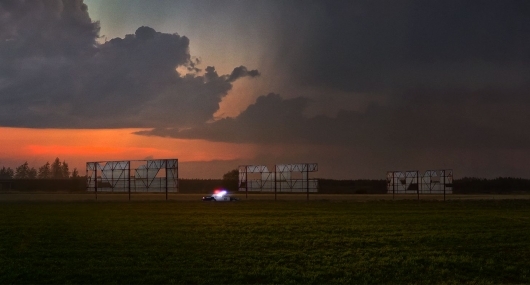 With Three Billboards Outside Ebbing, Missouri—which is directed by Martin McDonagh and stars Frances McDormand, Woody Harrelson, Sam Rockwell, Abbie Cornish, Lucas Hedges, Željko Ivanek, Caleb Landry Jones, Clarke Peters, Samara Weaving, John Hawkes, and Peter Dinklage—now available on both digital and physical home video platforms, Fox Searchlight is hoping to convince those who have yet to see the movie to do so before the big awards ceremony this Sunday night. To help with this, they’ve released the first eight minutes of the film to watch online. You can check out the first eight minutes along with a promo for the home video release and a trailer below. The first trailer for Syfy’s TV series adaptation of Terry Gilliam’s 1995 sci-fi thriller 12 Monkeys has been released. The show follows a man from a post-apocalyptic future who comes back on a mission to find the source of a deadly plague that will wipe out most of humanity and stop it from happening. It stars Zeljko Ivanek, Amanda Schull, Kirk Acevedo, Tom Noonan, Shannon Lucio, Emily Hampshire, Aaron Stanford, Noah Bean, Jodi Lyn Brockton, and Lyriq Bent. You can read a more detailed synopsis and check out the first trailer below. Seven Psychopaths is the follow-up to Martin McDonagh’s Academy Award winning film In Bruges (please watch the film if you haven’t yet). The first trailer for the film has appeared online and it looks nothing short of hilarious. Check it out below. The premise is pretty simple: three people working in the dog kidnapping business (Colin Farrell, Sam Rockwell, and Christopher Walken) unwittingly take a dog that belongs to an emotionally unstable mob boss (Woody Harrelson). From there it is escaping the mob, trying to survive, and figuring out how to make a profit from all of this.